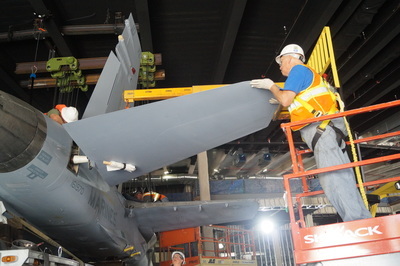 Construction on the Museum’s 115,000 sqft “Final Phase” is complete. We are now working on the gallery spaces which will tell the Marine Corps story from 1976 through the wars in Iraq and Afghanistan. 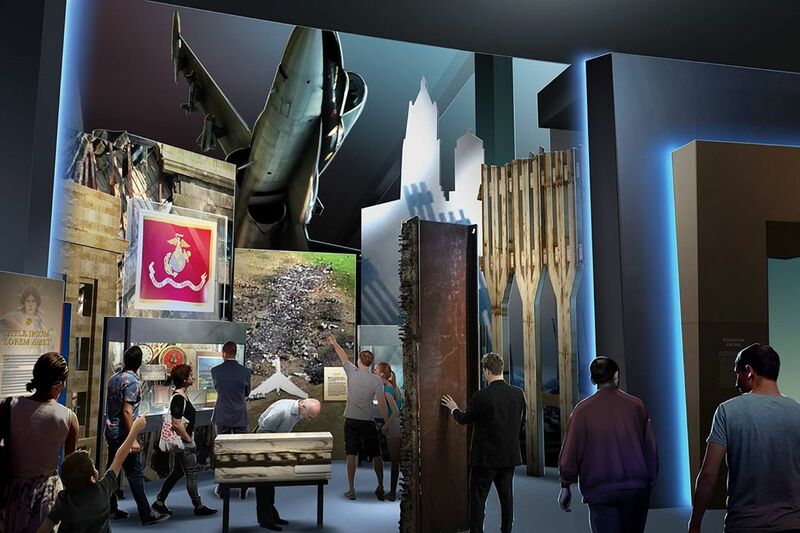 In 2019, we will open the continuation of Legacy Walk, which includes exhibits on Marines performing humanitarian missions and providing Embassy security, 9/11, Marine Corps families, the MAGTF, and how we honor fallen Marines. 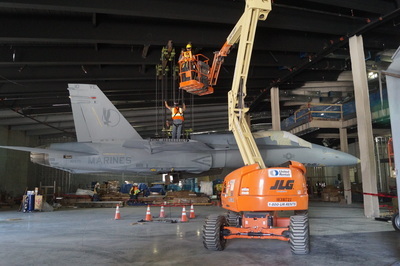 From the second deck, you'll be able to follow our steady progress on the new historical galleries, which will tell the Marine Corps story from 1976 through the wars in Iraq and Afghanistan. 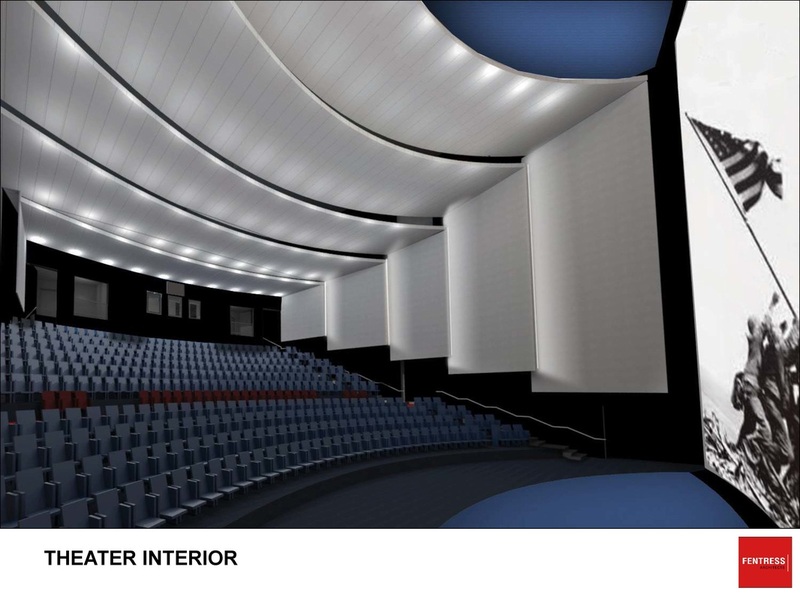 We will make considerable progress on those galleries in 2018-2019, but we have not yet committed to an opening date. Our best intel puts completion in 2020. 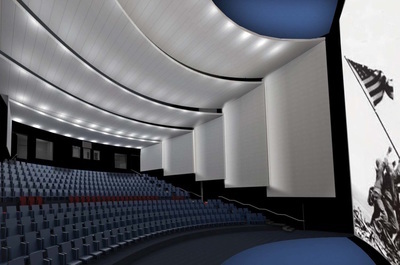 We are hopeful that some areas of the galleries may be open in 2019. The remaining spaces--Sports Gallery and Hall of Fame, Changing Gallery, Hall of Valor, and the Inter-War Years Gallery will open in 2021-2022. 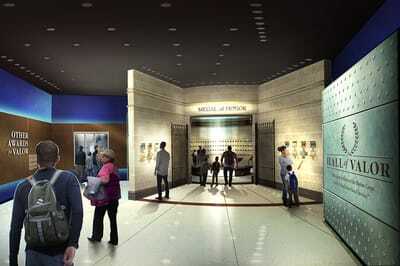 Also opening in 2018 are these two new exhibits: a joint art show featuring World War I art from the collections of the Marine Corps, Navy, and Army, opening on 6 June; and an exhibition on movie posters, which explores how the Marine Corps has been portrayed by Hollywood, opening late in the year. The Final Phase (the name coined for this project) team has been finalizing plans for how to tell the story in the most compelling way. 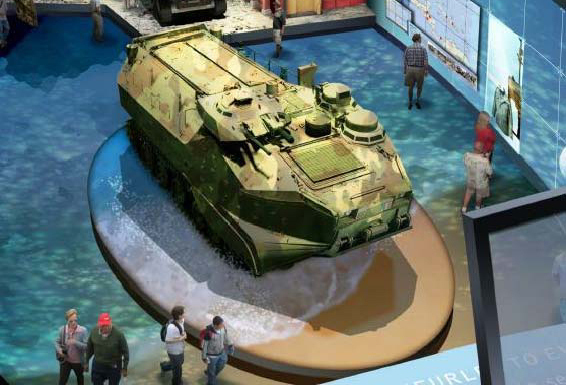 The Museum’s exhibit design team has shaped the visual story while a team of writers from the Museum and historians from Marine Corps History Division have crafted the written storyline. “It’s imperative that we get these galleries right because these memories and the suffering are still raw. 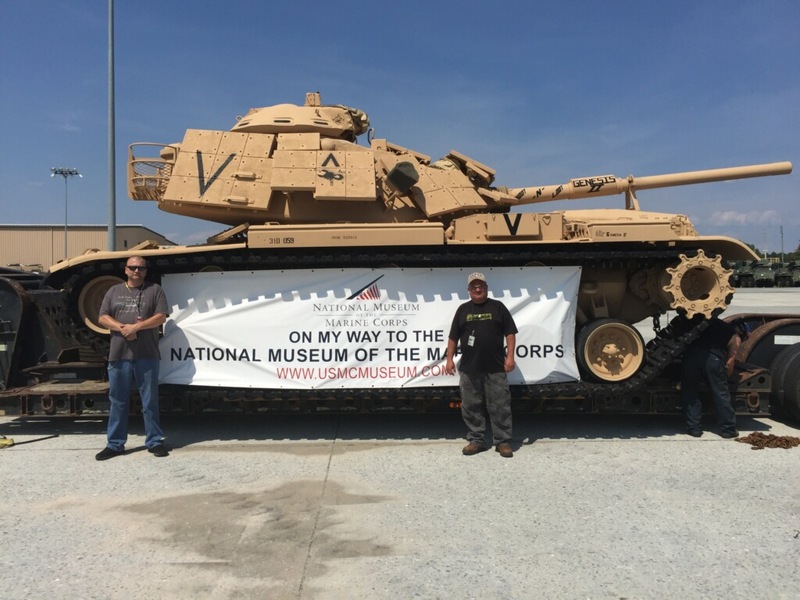 This is the most important thing we’ve done yet, it honors those warriors whose memories of this war are fresh,” Lin Ezell, NMMC director, said. 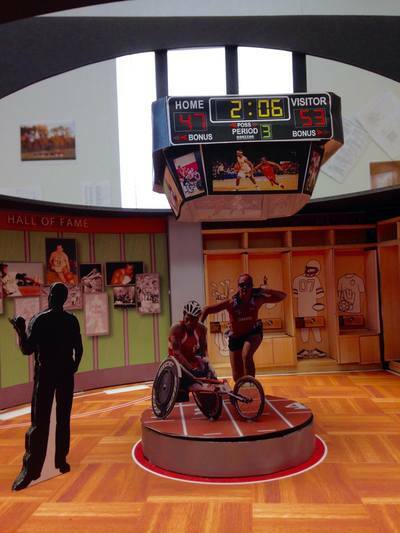 To get the story right the Museum put together a diverse group of senior advisors to help guide the process and ensure that the whole story is told. The new historical galleries will tell of Marines in both combat and humanitarian efforts as well as on the home front. 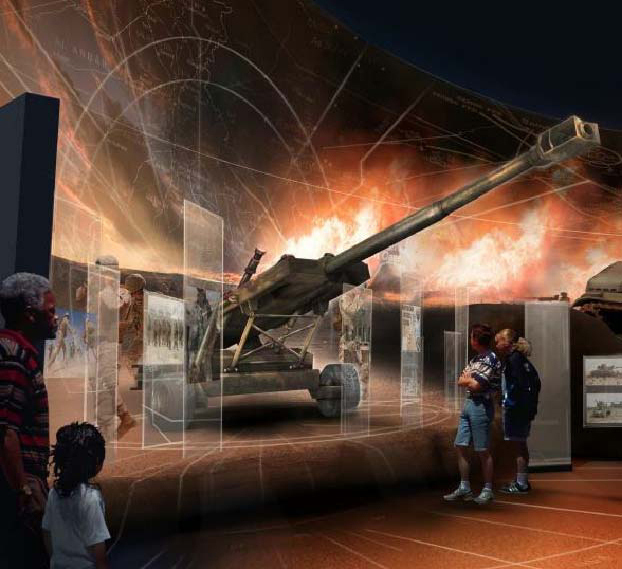 These galleries will tell every Marine’s story because while not every one of them serves in combat, they’re each equally important to the mission. 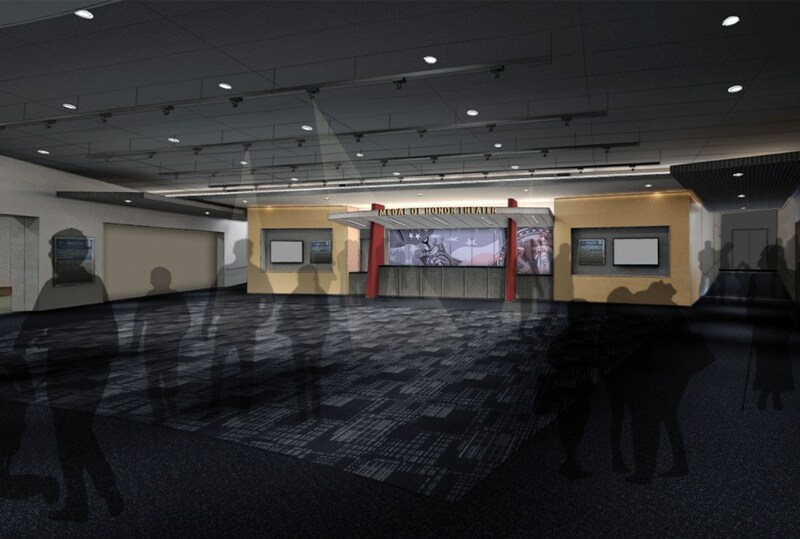 The senior advisors also told the team that if they don’t tell the Marine family story “we will have missed the mark.” The team took that to heart and has not only included an exhibit on the Marine family, but has also woven it into the overall exhibits. 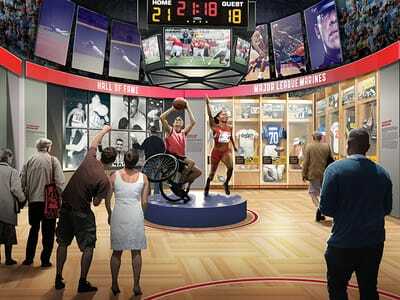 At current count 575 artifacts have been chosen to illustrate Corps' history in the new galleries. 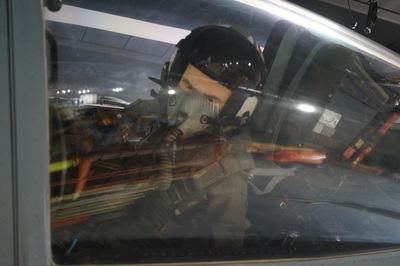 These include everything from an F/A-18 Hornet to a set of blood-crusted ribbons. “When telling the story of “no better friend, no worse enemy” there’s no greater museum than the National Museum of the Marine Corps,” Ezell said. 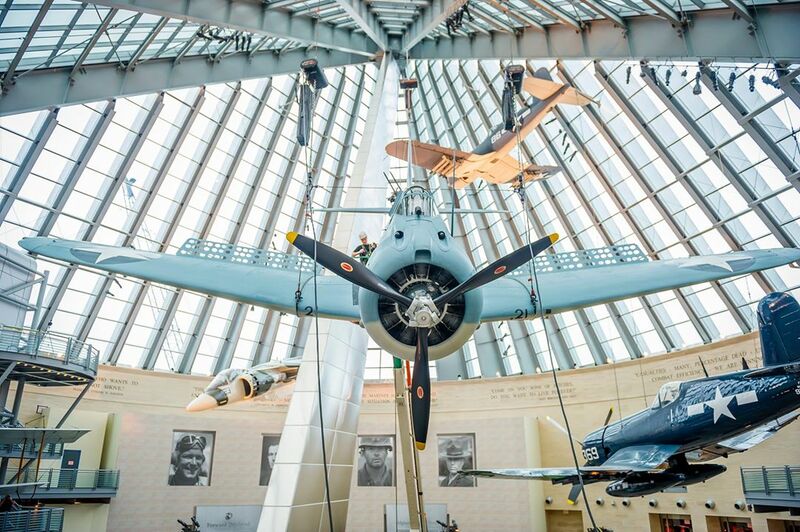 “There are very few reflective moments in American life but the National Museum of the Marine Corps creates many such moments. 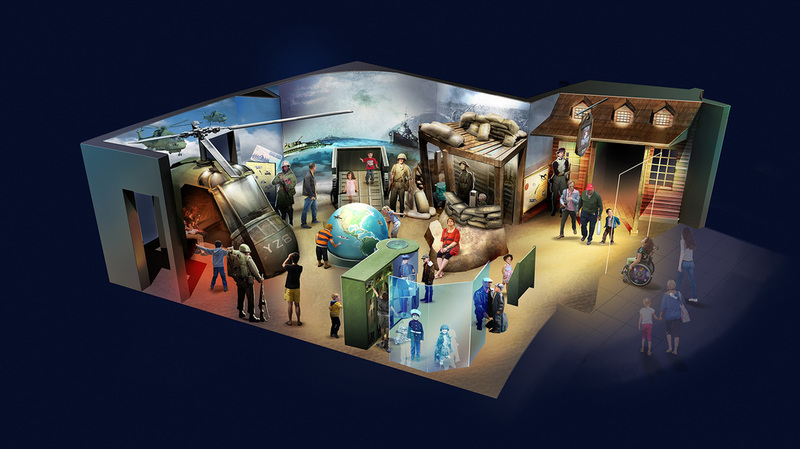 The new galleries are an opportunity to tell the rest of the story for a new generation while they’re still here to experience it. A rich diversity of truly impressive Marines, all volunteers since Vietnam, have served country, Corps and God and now we’re telling their story,” Maj.Gen. 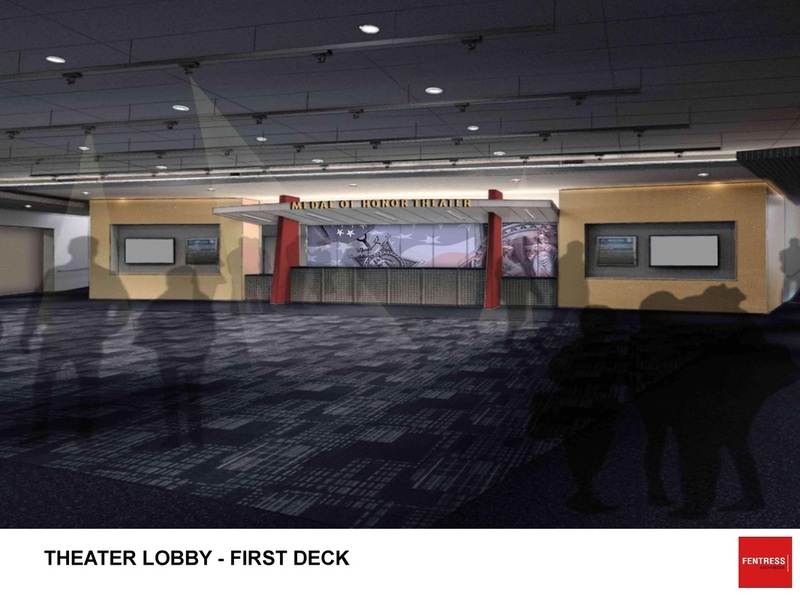 Timothy Hanifen (USMC retired) said of the plans for the Museum. 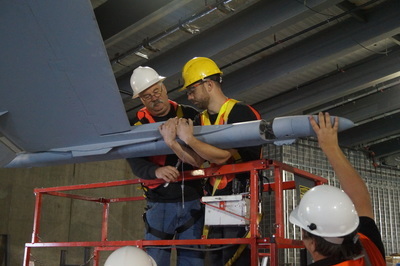 Hanifen is one of many advisors and collaborators for the Final Phase. 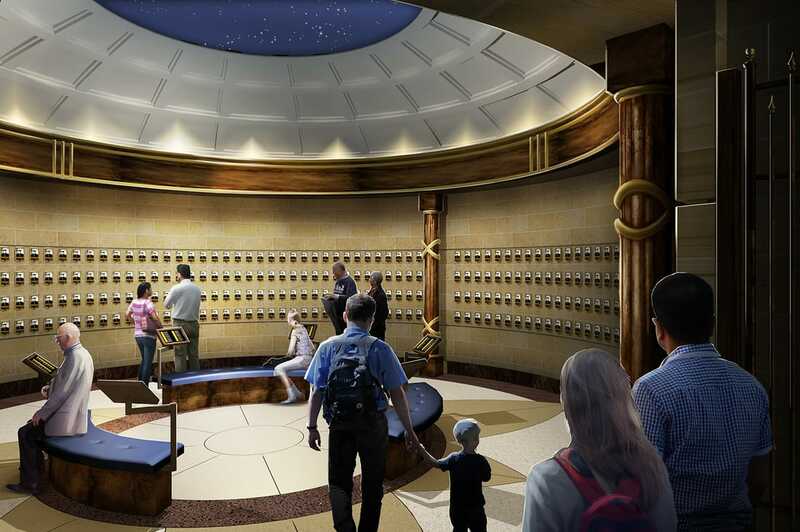 With so many stories to tell in a limited amount of space it’s only logical that large artifacts should serve multiple purposes. 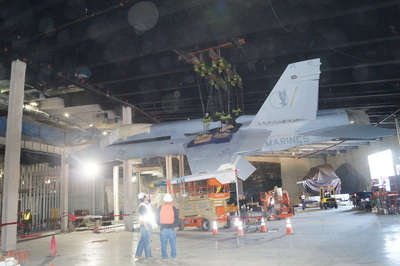 Such is the case with the FA-18 Hornet that was attached to VMFA-115 during Desert Storm (though she did not deploy with the unit). She was later stationed at Andrews Air Force Base with reserve squadron VMFA-321 and was the first aircraft to patrol the airspace around the Nation’s Capital when terror struck on 9/11. 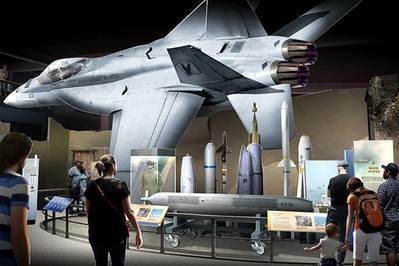 The FA-18 will be staged in a “knife-edge/nose-up” flight attitude with her nose protruding into the “Terror Strikes” exhibit space, supporting the story of Marine Corps jets that flew over the United States to counter any further attacks. 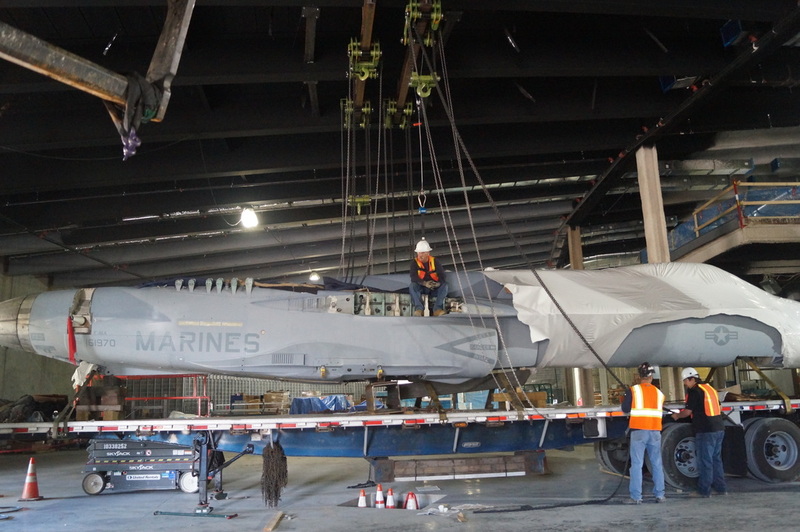 In the galleries about Operations Iraqi Freedom and Enduring Freedom, the aircraft provides a focal point for visitors to learn about the importance of all aspects of Marine aviation. 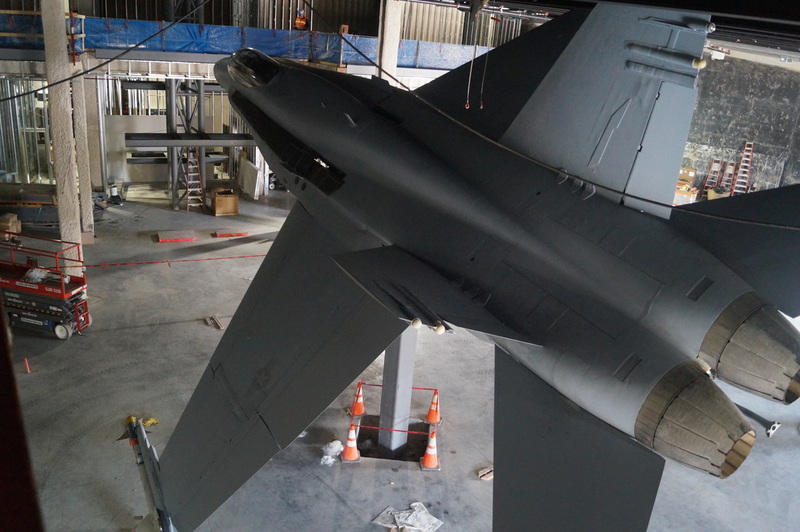 Due to its size and location in our future galleries, we will be placing the aircraft on its stand this week before gallery walls are constructed. 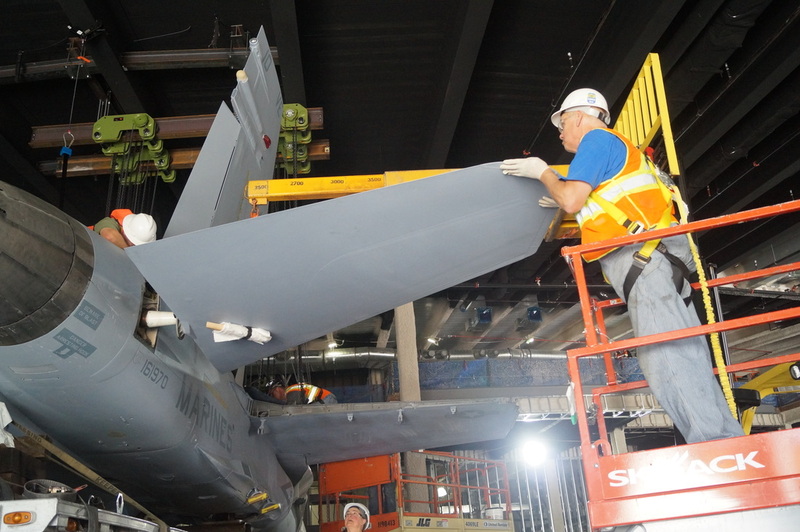 This 5-minute time lapse shows the FA-18 installation that actually took more than a week to install. 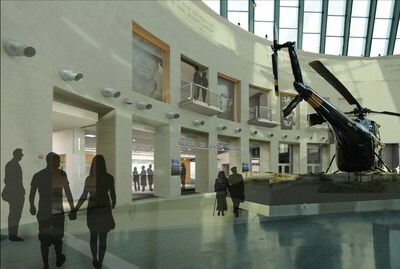 Artist rendering of how the aircraft will appear in the gallery. On September 9, 2016, the fully restored M60A1 Tank started its trek from Marine Depot Maintenance Command (MDMC) at Albany, Georgia to the Museum. 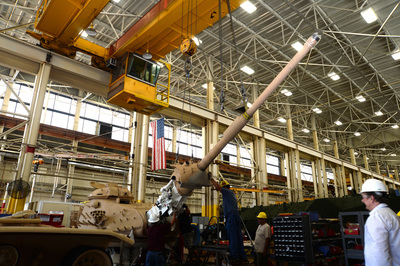 Upon its arrival at the Museum, the Genesis II, M60A1 Main Battle Tank will be lifted by a crane and placed into its exhibit space in our Final Phase construction site. Due to its size and weight, the Museum will be placing it before construction is complete. 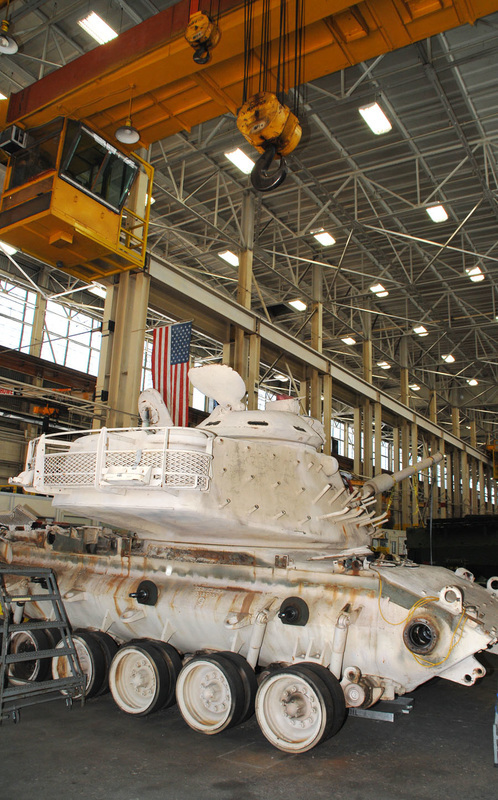 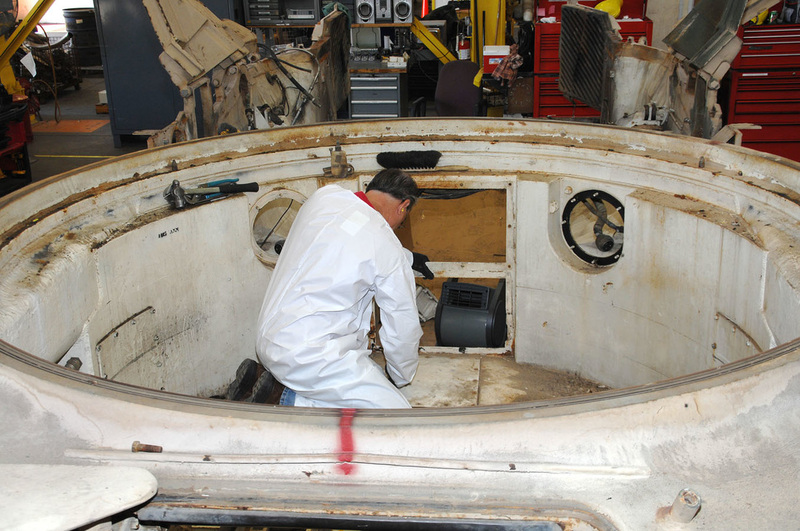 Restoration of the tank began at MDMC in July 2014, and was completed in January 2016. 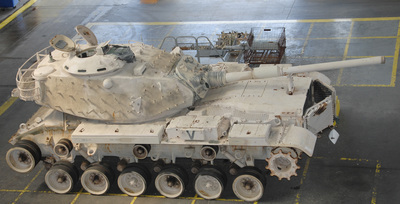 This M60A1 Main Battle Tank was chosen for the Museum because of its documented history in the ground offensive during Operation Desert Storm in January and February 1991. As part of our Final Phase construction, the tank will be a key feature in our Desert Shield and Desert Storm exhibit in the Forward Deployed Gallery opening in November 2018. 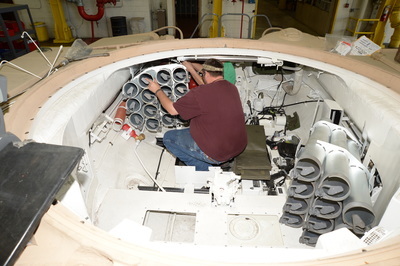 Time lapse video of installation of M60A1 Tank. 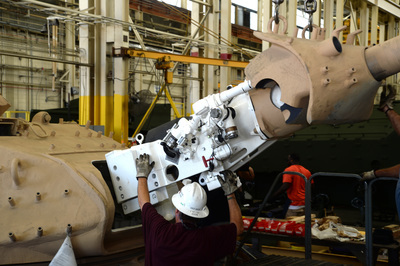 Jody Nesbitt (on the left) and Robert Guzman (on the right) with Marine Depot Maintenance Command at Albany, Georgia. 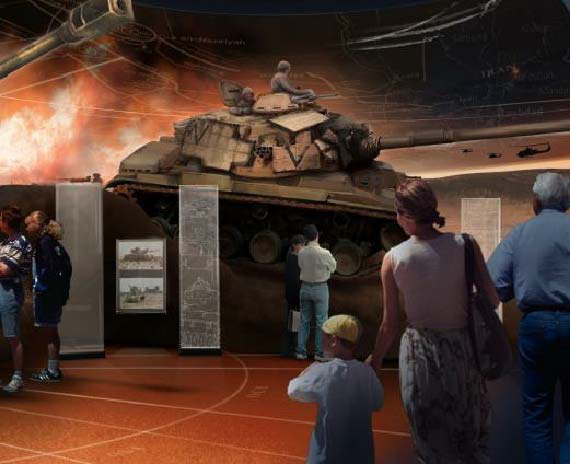 View of Desert Storm and Desert Shield Exhibit within the Forward Deployed Gallery. Though there is still a lot of work to be done, here is the LAST steel beam being raised and placed for the final phase construction of Final Phase. While the Museum was closed January through March 2016, we installed two aircraft in our Leatherneck Gallery and updated lighting throughout the Museum. Installation of an SBD Dauntless: We installed a WWII SBD Dauntless dive-bomber over the Tarawa exhibit. It showcases the heroic actions of the commanding officer of Marine Scout Bombing Squadron (VMSB) 232 and his observer/gunner over Guadalcanal in August 1942. Installation of a Vietnam War era tableau: On the floor of Leatherneck Gallery, we have installed a new Vietnam War era tableau. 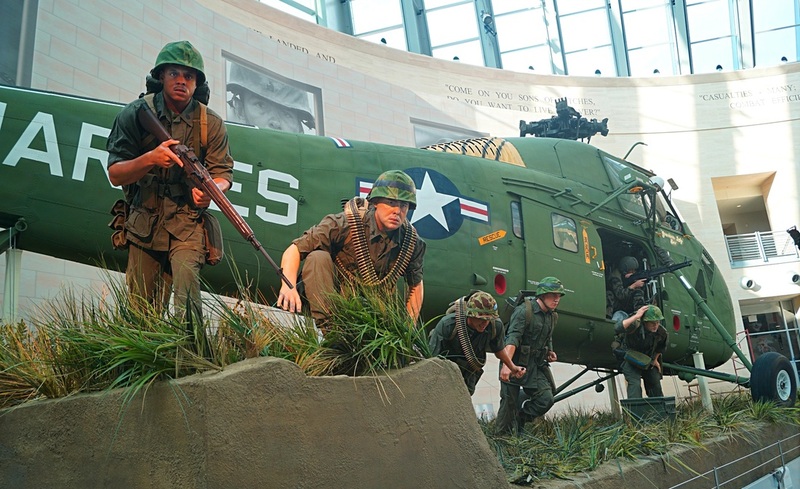 The scene depicts Marines heading for cover as they exit a Vietnam-era Sikorsky UH-34D helicopter during Operation Starlite in 1965. 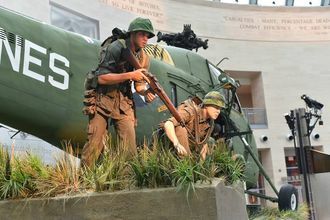 Active duty Marines and a Corpsman were used as models to create the cast figures for the new tableau. Updated Lighting: We have updated the light fixtures with LED lights throughout the Museum. 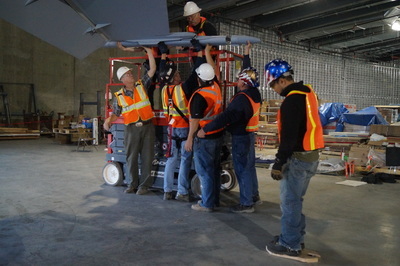 The updates are part of our Virginia Green commitment to reduce our overall energy consumption. Preparation is underway to open our new Combat Art Gallery at the Museum. Soon visitors will be able to view the history of the Marine Corps as seen through works of art. 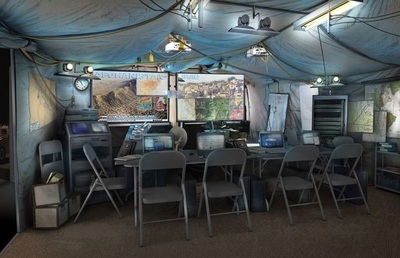 Honor, Courage, Commitment: Marine Corps Art, 1975-2015, the first exhibition in the gallery, honors Marines who have served in the Corps during the last 40 years and echoes the core values of the Marine Corps: honor, courage, and commitment. 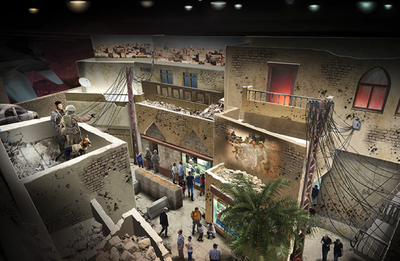 One hundred works of art by 22 artists are divided among three themes: Every Clime and Place, No Better Friend, No Worse Enemy and The Price. A preview of some of the works of art that will be display in our inaugural exhibit, Honor, Courage, Commitment: Marine Corps Art, 1975-2015. In February, construction crews began to remove the demising wall in Leatherneck Gallery. Get a behind the scenes look at construction in this video with Carley Youngman, Balfour Beatty Construction Sr. Project Engineer. Work continues on the new historical galleries and the extension of Legacy Walk.